Yes friends, it is exactly are you feared…More NYC love! I’d like to introduce to Blacklist. A dark post-punk band from the concrete jungles of New York City. Show them love. Show them respect. Just show up their shows and groove to the chiming guitars and hypnotic drums. They’ve been honing their craft showly and steadily the last couple of years releasing a couple of EPs along the way and most notably playing SXSW two years in a row so it does appear the stars are beginning to align this fearsome foursome. Are you into the Comsat Angels? The Chameleons? Do you like to turn out the lights in your room and dance to your heart’s content? If you answered the affirmative to all of those questions then please feel free to check out their new single Flight Of The Demoiselles taken from their forthcoming debut record due out before the year’s end. It’s a barnstormer and it definitely sent chills down my spine and I hope it does the same for you. Have at it, ladies and gents! You may remember not too long ago when I posted about a simply glorious electronic pop band from right here in NYC called The Dossier. I don’t think I got the point across very well about how much I love their sound so here I am to let all of you New Yorkers know that you simply must be in attendance tomorrow night, Thursday 30 April 2009 at 11pm when the duo take the stage at the Lit Lounge, located on 93 2nd Avenue in Manhattan! They will be the featured guests at the NC17 party so having a blast is pretty much guaranteed. Hear the tunes that just might surface on their debut record Strange Arrangements currently in production. I will be there so feel free to say hello! He looks like the son of Morrissey but stylistically reminds me more of a young Robbie Williams, Ben Esser certainly has that going for him. Throw in a solid single like Headlock above and we’ve got a pop star in the making. I’ve been playing the single for the last week to anyone who would listen and was quite pleased at the reaction it got. The key to this song lies in the delivery. The lyrics are sung effortlessly almost as if he couldn’t be bothered to finish or show any genuine emotion but therein lies the charm and what he and someone like Robbie Williams share in common. The quintessential Englishness, the stiff upper lip if you will that lends itself to some great sounding pop music. The debut record Braveface is out 5 May on Transgressive in the UK and judging by Headlock, it definitely sounds promising. Check it…NOW! kanye! the clipse! it’s kinda like a big deal! It’s always a good day when you find out one of your favourite hip hop groups have come out of the woodwork to grace us with something new. 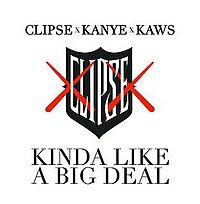 In this case, It’s Virginia’s Clipse and their brand new single featuring the one and only Kanye West called Kinda Like A Big Deal. I must say that I’m digging it right out of the box. What becomes noticeable right away is that the production does not sounds anything resembling that would come off the mixing board of the Neptunes. This track was produced by DJ Khalil and word is that the new record entitled Till The Casket Drops has very little input from the Neptunes at all which at this point can only be a good thing. KLABD right off the bat has a bit more grit to it than what you would hear from previous Clipse singles. Lyrically it’s more of the same from Malice & Pusha T. You’ve got your boasts about lyrical skill, money, etc… Kanye gets a verse and adds a bit of his off kilter wordplay which is always endearing if not a bit uneventful on this track. Needless to say that I am pretty stoked for this record to make its appearance as the Clipse has always been of those groups that at least attempt to go against the grain in the morass that is mainstream hip-hop these days. The song’s hot. Check for it. It’s going to be a great summer. Where the hell had Tiga been? I swear it felt it had been about ten years since Sexor came out instead of three. It seemed like I couldn’t walk into an indie disco night here in Williamsburg and not hear You Gonna Want Me every time and then nothing…until now. After a long wait, here comes the new single Shoes taken from the new record Ciao! out now on Turbo/PIAS. I’m a sucker for a killer bass line and they don’t get much better than the one found here on Shoes, it’s simply killer. It’s so good that it almost makes you forget about the inane lyrics. Almost. “I’d love to do your nails before somebody gets hurt”? Say what? 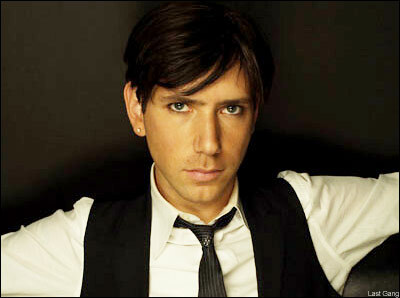 Become entranced by the bass line and let everything else simply slide off your back is the best way to appreciate Tiga’s latest. Enjoy. It’s only fair that if I’m going to mention the brilliance of Frankmusik that I also continue waxing poetic about Miss Elly Jackson aka La Roux, the current queen of analogue dance pop. The new single Bulletproof continues the roll she’s been on and sets up a very interesting chart battle between Elly and Mr. Frank. Her self-titled debut drops in June and wouldn’t you know it? So does Frankmusik’s… Now I’m not one to fan the flames of controversy for controversy’s sake…oh who am I kidding? Yes I am. Anyway it should be fun to see who outsells whom each act’s debut albums finally see the light of the day. As for Bulletproof itself? Can’t beat a midtempo stomper to get you dancing up as the summer draws nearer. This may be the most accessible and poppiest of the three singles released thus far. Although I’m still quite partial to Quicksand, Bulletproof is nothing to sneeze at and I look forward to hearing it spun at the local indie disco so I can impersonate someone who can dance with rhythm. Enjoy and comments are most welcome!